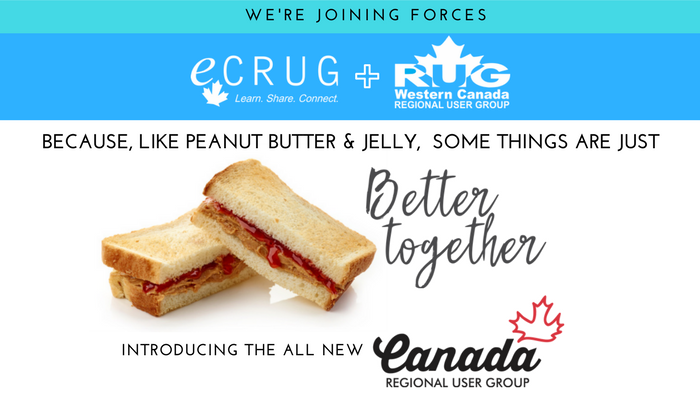 Here are a few key assets to help you spread the word about ECRUG & WCRUG merging to become the Canada Regional User Group (CanRUG). Download any of the images below by clicking on it. The full sized image will automatically open in a new browser window. Simply right click and select “Save Image As” to save to your desktop. CanRUG Email Announcement: Although I don’t recommend trying to post the image to the right to your social media accounts or even trying to email it, I thought it may be handy for you to have. The Join CanRUG Now ribbon below would be easy to include in any emails you might send – just don’t forget to insert the link to the CanRUG Membership Form (http://canrug.us14.list-manage1.com/subscribe?u=e9c2d243c814b3c84fa2ea072&id=60d46732af). 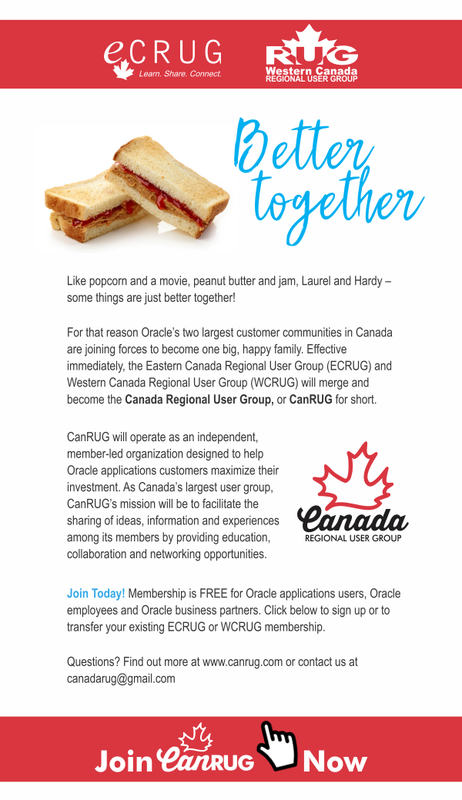 The two largest Canadian communities of Oracle Customers have decided to join forces. 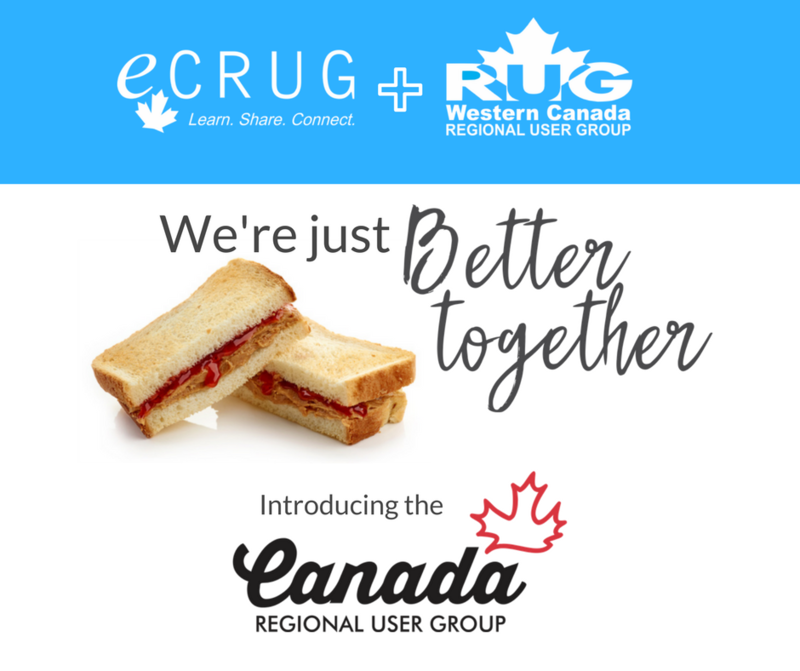 Effective immediately, the Eastern Canada Regional User Group (ECRUG) and the Western Canada Regional User Group (WCRUG) have merged to become the Canada Regional User Group, or CanRUG for short. CanRUG will operate as an independent member-led organization designed to help Oracle applications customers maximize their investment. 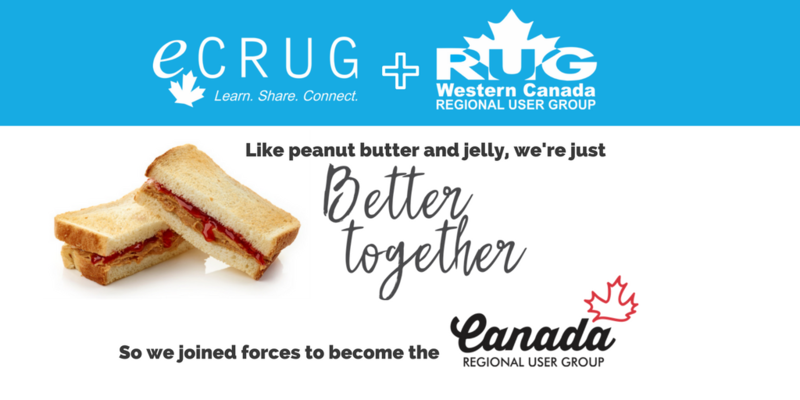 As Canada’s largest user group, CanRUG’s mission will be to faciliate the sharing of ideas, information and experiences among it’s members by providing education, collaboration and networking opportunities. Join Today! Membership is FREE for Oracle applications users, Oracle employees and Oracle business partners. Click here to sign up or to transfer your existing ECRUG or WCRUG membership. LinkedIn Post Header: Use the image below as a header image if creating a post on your LinkedIn feed about the CanRUG merger. Twitter Post Image: Posting the news about CanRUG on Twitter? Use the image below for an even bigger impact! Instagram/Facebook Post Image:Are you a member of a Facebook group that could benefit from learning about CanRUG? Why not create a post using the image below which is also the right dimensions to share on Instagram.